We were most excited to find an osprey, a rather uncommon bird in South Africa, fishing at a pool in the Shingwedzi River, just a few kilometers north of Dipene along the S50-route, during our recent visit to the Kruger National Park. It was just one of almost 200 bird species we identified on the ten day trip, and we’ll be telling you all about our visit and sharing many of the special wildlife encounters we enjoyed in the days and weeks ahead here at de Wets Wild! If you enjoy de Wets Wild as much as we enjoy sharing our love for South Africa’s wild places and their denizens with you, please vote for us in the 2015 South African Blog Awards. We’ve entered the categories for “Best Travel Blog” and “Best Environmental Blog”, and you are allowed to vote for us in both. Clicking on the badge below will bring you to the voting site. This entry was posted in Kruger National Park, Limpopo Province, Memorable sightings and tagged nature, outdoors, Shingwedzi Rest Camp, travel, vacation, wildlife on December 24, 2015 by de Wets Wild. Mag ek vra wat is die naam in Afrikaans? Ek het gehoor my fotograaf vriend praat van hulle.Hy is n groot voël kyker en kieker. Sy Afrikaanse naam is “Visvalk”, Ineke, en voorwaar n baie spesiale voel om hier in SA te sien. Dis n mooi naam vir hom. I love ospreys; they are so skilled. Was able to watch one recently on a beach in North Carolina and could easily make him out in a crowd of sea gulls. You’ll understand our excitement perfectly then, Annette! Sjoe 200 is nogal baie! Hoop julle het ‘n wonderlike Feestyd! Die Wildtuin wemel van die voels, die droogte ten spyt. Meer gesoute voelkykers sou sekerlik n langer lysie as ons bymekaar gemaak het. Lovely and a very merry Christmas. That is pretty cool! I did not know ospreys were on other continents. They are a rare sight near my home, however plentiful in the southern regions of North America. I also think it is pretty cool that some birds occur naturally all over the globe – barn owls is another example I can think of now. Does the midwest not have enough large bodies of water to sustain a larger population, or do you think there’s another reason why they’re rare in your part of N America? I think it’s because many of the rivers and lakes freeze, preventing them from feeding? I will have to check into that. Merry Xmas. All the best for a great 2016. They are beautiful! We see them quite a bit around Perth and surrounds. You are very lucky, Christina! Do they stay year round, or also only visit in summer? I’ve seen them at all different times so we’re definitely lucky. Always around the coast nesting or feeding. I was lucky enough to get some good shots a couple of years ago of one feeding and then joining its mate up in the tree on Rottnest Island (about as far from Perth as Robben Island is from Cape Town). Merry Christmas to you too! 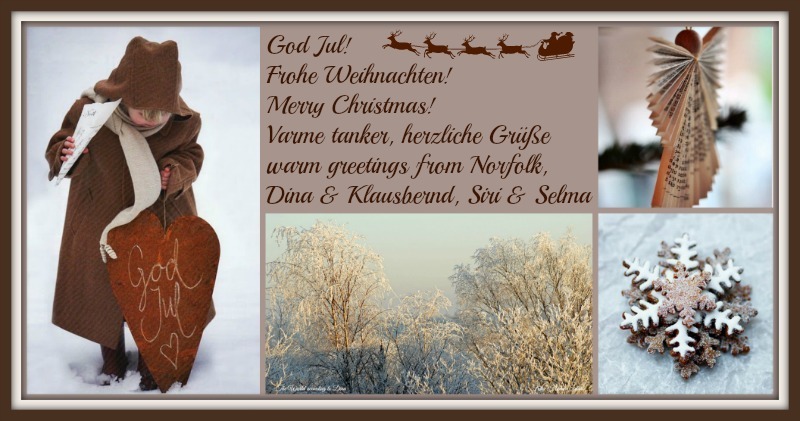 And a blessed Christmas to you as well, thank you Dina!